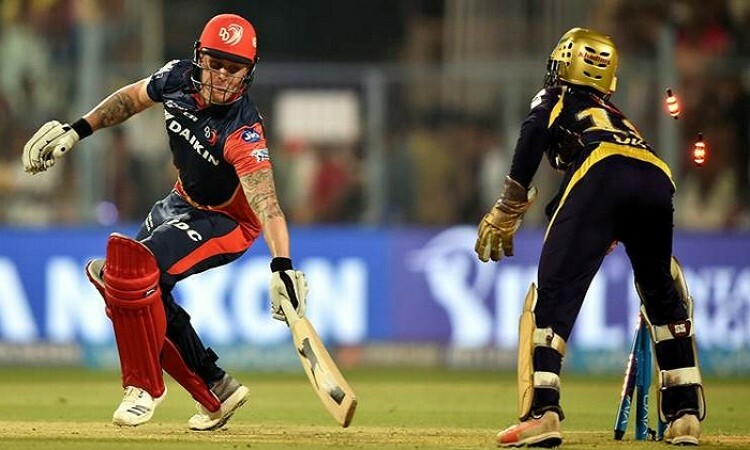 New Delhi, April 27 (CRICKETNMORE) - Former skipper Gautam Gambhir was dropped from the Delhi Daredevils side, which was asked to bat by Kolkata Knight Riders (KKR) skipper Dinesh Karthik in an Indian Premier League (IPL) match here on Friday. Besides Gambhir, all-rounder Daniel Christian was also dropped while Vijay Shankar and Colin Munro were included in their places. On the other hand, back on the ground after a six-day break, a rejuvenated KKR brought back veteran pacer Mitchell Johnson replacing Tom Curran. Kolkata Knight Riders: Chris Lynn, Sunil Narine, Robin Uthappa, Nitish Rana, Dinesh Karthik (Captain/Wicket-Keeper), Andre Russell, Shubman Gill, Mitchell Johnson, Piyush Chawla, Shivam Mavi, Kuldeep Yadav. Delhi Daredevils: Prithvi Shaw, Colin Munro, Glenn Maxwell, Rishabh Pant (Wicket-Keeper), Shreyas Iyer (Captain), Vijay Shankar, Rahul Tewatia, Liam Plunkett, Amit Mishra, Avesh Khan, Trent Boult.